I’ve had the Oveready aftermarket Triple Surefire Scout head since last summer and finally got around to taking a few comparison photos. It’s marketed as 3500 lumens and goes for just under $300 (currently out of stock). It’s almost identical in weight and size to the stock heads, and has a clean black finish without any extra logos beyond the heat warning. I’ve found the beam to be extremely wide, offering a solid, even flood that’s perfect inside structures. This is not like a 1000 lumen spotlight with a super hot focused spot for tagging things a long ways out - it’s like turning the lights on when inside. The diffuse nature of the beam means it’s similar to a much lower-power light at distance but extremely impressive up close. I’ve seen no concerns with shadows around objects or being thrown by other jewelry hanging off the front of a rifle. You’ll see it compared below to another Scout head (the KM2, which offers 150 lumens visible and 120 mW of IR), and the X300 Ultra-A (500 lumens) using identical manual camera settings. The differences in hot spot diameters is immediately visible, and you can start to see the extra splash bouncing around the room from the light brown blinds. The Oveready head also has fully customizable features, so you can reprogram it to perform different based on number of activations. This reprograming occurs using Oveready’s online app, where you make selections for brightness levels, strobe patterns, etc, and then create a programing video clip. They have you click your way into program mode on the flashlight, then hold it up to your computer monitor, where it “sees” the programing video and saves it to its internal memory. I thought they were crazy at first, but it definitely works - I have this one set up to be full-blast for the first 3 quick activations, followed by a 20% level on the 4th click in case I just wanted a task light. It allows you to set your secondary mode behind a number of quick taps to make sure you don’t accidentally engage it. It uses a pair of IMR 16340 cell batteries to keep up with the power demands, which is rechargeable and puts out a peak 4.2 volts in the same body as a CR123. When operating at full brightness (30 watts, 3500 lumens), they advertise 9 minutes of straight run time. If you left it on that long I’m sure you’d need to be careful of the heat that’s being put out. If you run at around 1/3 power or 1300 lumens, they say it’ll last 24 minutes on a full charge. Here’s the manufacturer’s page on the head. Got a bunch of recent classes up over on the SmugMug site with big galleries for students - take a look. Was honored to attend this get-together of people touched by the legacy of Pat Rogers. Put up a whole gallery of images here, with a few of them featured in Charles' summary of the event here. A few photos from this last weekend at the Alliance PD training range with Don from TNVC. Full gallery available here. Night Fighter Level 1 is designed to arm students with a solid understanding of the fundamentals of night vision operation and use. Beginning with gear choice and setup, the class provides students the tools for learning to safely / effectively move, shoot, and communicate in low-light/no-light environments. 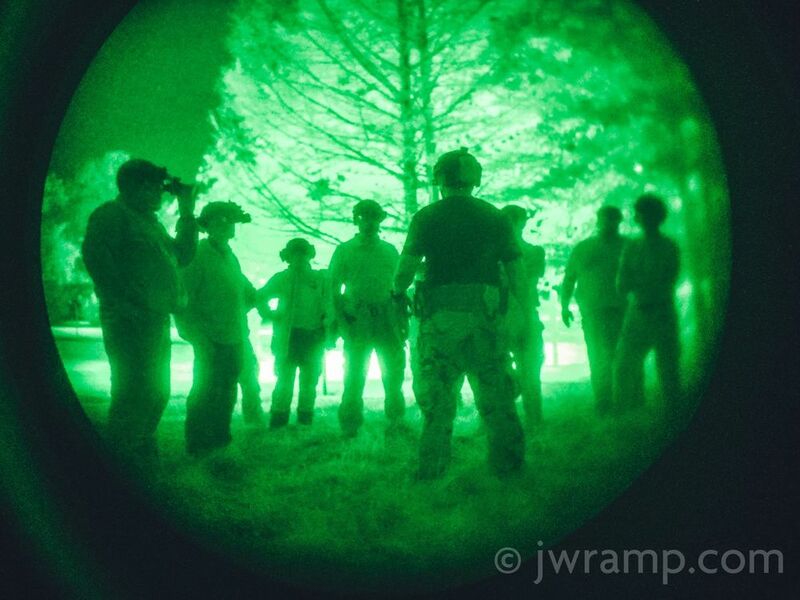 Students will participate in a variety of movement, stalking, and live-fire exercises aimed at producing a core competency with night vision goggles, lasers, and white light. First Sundays of each month, FAST-Tactics hosts a 3-gun action shoot at Clairton Sportsman's Club just outside of Pittsburgh, PA.
4-5 stages of pistol, shotgun and carbine exercises suitable for shooters of all skill levels. The night before we ran it under night vision or flashlights after setting up. There are also some aerial shots I threw into the mix with our quick Phantom/GoPro setup from Osprey. Looks like Nick at TFB posted about his morning at the shoot, too - check it out. Thanks - I'll be in touch ASAP.